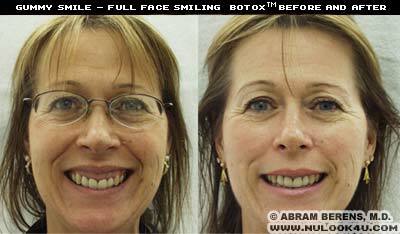 BOTOX® can be injected to weaken the muscles responsible for a “gummy smile”, which can improve this appearance dramatically. What Is A Gummy Smile? When a person smiles most people expose a small section of the gums above the teeth. 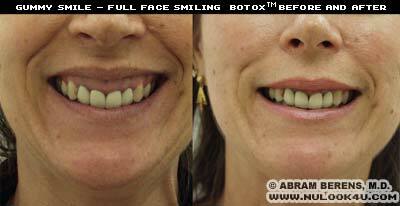 However, men ans women with a ‘gummy smile’ show a much larger section of gums. Though this is a common and not something that is medically wrong, many individuals with a gummy smile to feel self-conscious about their appearance.